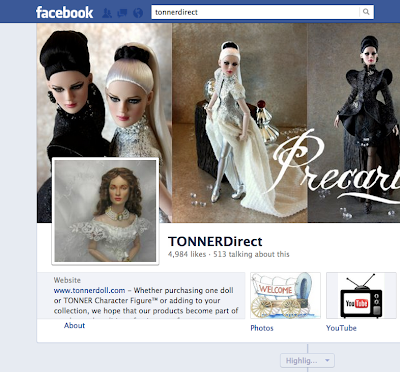 Scarlett Reverie: Thank you Tonner!!! This was my most delightful surprise this week. Tonner, you may be miles away, but you always manage to bring me closer to you all the time. Congratulations to you too Tamara Radiola Gavrysh! The gown did it! You are amazing!! Thank you Tonner! Never have I experienced a closer doll-customer relationship as I have with you. I agree! Tonner has the best relationships with their customers!